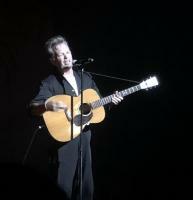 News: Visit Mellencamp.com's NEWS section for all of the latest updates! Just wanting to know - will any more dates announced for the US tour? Secondly - any chance there will an announcement for an Australian tour - this CD / album is extraordinary and it would be great to witness John performing some of the od and new songs live. Has anyone been receiving their VIP merchandise before the concerts? Also, I still have 2 awesome tickets for sale for the 6/24 show in St. Augustine Fl. Pit 1, 4th row!! They are listed on Facebook and StubHub. \"It\'s what you do and not what you say. If you\'re not part of the future then get out of the way\""
I emailed AEG, who is in charge of the VIP packages and they just emailed me back with a general statement saying that my merchandise for the vip package is in the process of being shipped. Are the songs for each set in the concert the same each tour date/location or how does John choose his songs per set? Does he ever divert from the set line up at the last minute? Do you know the pricing for the VIP packages for the 2018 summer Canadian tour? 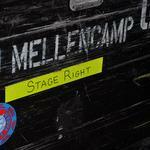 Email help@mellencamp.com for assistance or questions! is the only way to get a front row ticket is to buy one of the vip packages? Pre-sale said ti was starting, then date changed to tomorrow! 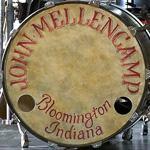 Congratulations on your purchase of a John Mellencamp VIP Package! We are almost ready to ship your VIP merchandise to you; however, we will need you to reconfirm your shipping address. If possible, do you have a Canadian address to which we can ship your merchandise, rather than the US address you initially provided? Please note, we cannot ship VIP packages to hotel addresses as we cannot guarantee it will arrive during your stay. If your US address is the only option then we will proceed to ship your merchandise there, however it may arrive after the date of the show. That is not spam the VIP distributors are beginning to pull shipping addresses for these shows and are finding some customer lists are missing information such as postal codes and a small number of others have U.S. or international shipping addresses. They are working with a Canadian merchandiser who told us that shipping product into the U.S. is a bit more complicated, requiring some documentation, customs codes and product manufacturing information. This should be resolved soon but to avoid delivery delays for these guests attending the first couple shows, they wanted to offer an option to ship to a Canadian address and avoid any frustration with late packages. Thanks for answering my question. Need help finding the Memphis presale code! !